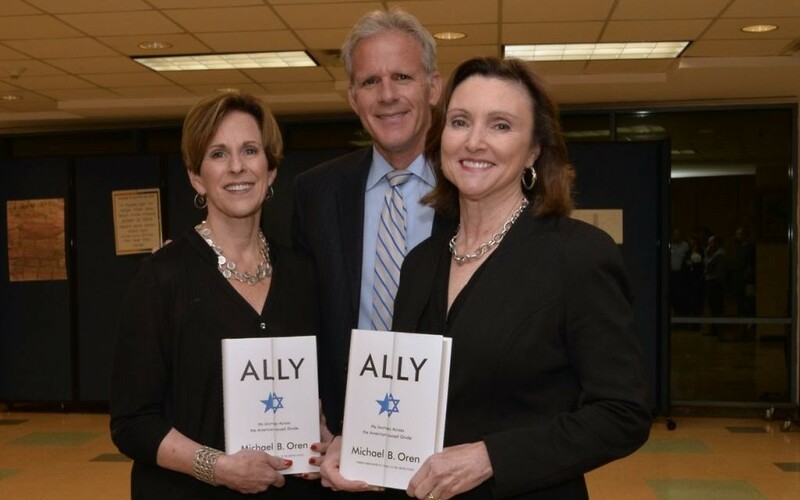 The Book Festival of the Marcus Jewish Community Center officially opens with an appearance by former NBC “Meet the Press” host David Gregory on Thursday, Nov. 5, but the work that makes the nearly three-week festival possible started within a month of the end of the 2014 festival. “It builds on itself every year,” said Susan Tourial, a Congregation Or VeShalom member who is in her second year as festival co-chair. She’s joined by Congregation B’nai Torah member Deborah Jacobs, who is in her first year as co-chair. The planning for the festival involves 14 committees and more than 100 volunteers, many of whom travel to New York to do “author speed dating,” spending a few minutes with each of hundreds of authors hitting the Jewish book circuit in November. In a democratic process, a vote of volunteers eventually sets the wish list for authors. In addition, the festival’s director, Pam Morton, works long-developed publishing industry contacts to track the big names releasing books and persuade them to come to Atlanta. Sometimes, as with Dr. Ruth Westheimer, the pursuit of an author can turn on a chance encounter at a book expo. Tourial and Jacobs said the size and reputation of the Atlanta festival make it a desirable destination for most authors. Authors know they’ll get good crowds and sell books here. Plus, they’ll get specially decorated cookies from Ali’s Cookies. Those cookies are a big enough hit that author Brad Meltzer ordered 150 boxes of them one year to hand out as gifts, and Jennifer Weiner ordered enough to give them to her entire audience. Authors also are treated well by the volunteer staff. About 70 people have signed up to work during the festival, and more are welcome. Just visit www.atlantajcc.org/bookfestival, the landing place for all your festival information and ticketing needs. The festival drew 13,000 attendees last year, and sales of series passes are running about 20 percent ahead of last year’s pace, Morton said. Two programs enhance festival attendance and enjoyment: community partners and book club insiders. The festival is working with 35 synagogues and other organizations as partners, each of which pays $360. Those groups can co-sponsor festival events, and they get $18 back for every series pass they sell. Book clubs that sign up for the insiders program choose at least one of 11 book club picks to read, get group discounts on tickets and reserved group seating, and can meet the authors. Tourial and Jacobs also are excited about the return of Project GIVE. Bins set up Oct. 1 at the entrance to the JCC are collecting gently used children’s books for the Atlanta Jewish Coalition for Literacy, which uses the books to tutor kindergartners through second-graders at public schools eligible for the federal government’s Title I program. Project GIVE collected more than 2,000 books last year. Like the festival books themselves, the donated children’s books don’t have to be by or about Jewish people. So what qualifies a book for the festival? The organizers said it simply has to be a book or author our book-loving community will be interested in. 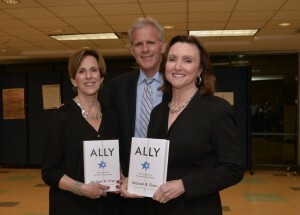 After all, it’s not the Jewish Book Festival; it’s the Book Festival of the Marcus JCC. In addition to Gregory and Westheimer, the keynote authors this year are Judy Blume, Dennis Ross, the Kellerman clan (parents Faye and Jonathan and son Jesse with a pair of books), Mitch Albom, Arlene Alda (appearing with her husband, actor Alan Alda), Alan Dershowitz, and Ted Koppel, who’s closing the festival Sunday, Nov. 22. “I think we have a nice balance of things,” Tourial said. Eight of the 44 authors this year are locals, which makes festival organizers happy. The downside is about 60 locals applied to participate. “That’s the worst part of this job, turning authors away,” Morton said. The demand for and from authors to be part of the festival has led to special events throughout the year. Already scheduled for the spring are two cookbook events: Nathalie Dupree and Cynthia Graubart with their “Mastering the Art of Southern Vegetables” on March 20 and Paula Shoyer with “The New Passover Menu” on April 17. When Koppel signs the last book of the night Nov. 22 to end the 24th edition of the Book Festival, Jacobs and Morton will be able to thank Tourial for two years of a job well done, catch up on their sleep, then get started a month later to try to make the 25th festival even better.